In this blog I will give you some solid tips on how to build up your personal or business brand. Donald Trump – love him or hate him is a master brand builder. The Trump name is now know worldwide. In everything he says and does the “Trump” name is boldly highlighted. Oprah Winfrey – another brilliant branding expert. From books to movies and TV shows Oprah has built a dynasty around her name and persona. Tony Robbins – is another household name that has been carefully branded. When you think of self-help books, infomercials and seminars Tony Robbins comes to the top of any list. You could likely think of a few names quickly that could be added to this list. So many powerful people have taken great care and patience to build their personal brand. Why? It’s called ATTRACTION MARKETING. These branding experts have built up such an audience of followers that they become almost magnetic. Just like when you put a magnet repeatedly into iron filings you get a larger and larger clump attached to the magnet. They get a larger and larger audience through various marketing strategies. Do you think Tony Robbins or Oprah Winfrey have any trouble selling their products or services? They only have to say the word and their followers are tripping over each other to buy. This is MARKETING POWER baby! The kicker is you can have this power too! It doesn’t matter what product you’re selling. If you brand yourself or the business correctly you too can have people begging to buy your widgets. Branding is not just about getting your name or product out there in some marketing campaign. It’s a mixture of driving home what you stand for, your values, your business ethics, your skills, talents and yes dreams. Branding is all about “who you are”, what makes you – you. Start to do some self-reflection and think about; what are my biggest strengths? What am I passionate about? What unique talents do I have? What do my friends say about me? What are my values and beliefs? What makes me happy, sad, or mad? Understanding “who” you are is the first step in your branding exercise. Identifying your “target audience” is the next step in the branding process. You cannot be all things to all people. By closely defining your target market you will be able to capitalize on your talents and skills in the most effective way. Marketing by the shotgun approach is not effective, you need to be laser focused on who you want to reach. What age range is she/he? What is their job or career? What is their yearly income? What their struggles or pain points? You can get more and more specific with each question on exactly who you want to target in your marketing. This is key to not wasting marketing dollars on people that will never need your product or service. Who are the leaders and shakers in your market area or niche? Make a list. It’s essential to know your competition and how they have branded themselves, their products or their business. Visit their website, Facebook page, purchase their product, read their books or blogs. Don’t be afraid to reach out to them for advice or help. Pick their brains for any market help they will give you. These folks are the leaders for a reason – find out why! The best way for you to create a brand is to set up a website that is all about you or your business. Important Tip – do not make your site about selling your products. People buy from people they know and trust. Make your site about you and answer the question; why should my perfect customer buy from me? If done properly your products will then sell without much resistance. The best way let people know about “you” is by blogging on your website. 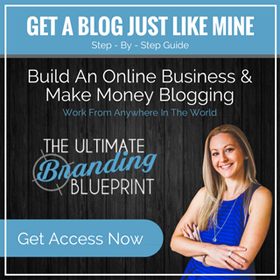 Blogging is a great way to build your brand. You can write articles about topics surrounding your niche, product or business. You can become the “expert” in your field. Do you have to be the expert? No! You just have to research each article topic and do your homework. People will “believe” you are the expert simply because your blog gives you “authority” by default. If blogging is of interest (and it should be) I can highly recommend you watch this webinar that covers all aspects of building your site and brand development. In today’s internet world there are so many platforms you can promote your brand it can be overwhelming. The best method of going to market can be driven by who your perfect customer is (see above). Where do they hang out? If your customers are on Facebook – go there, if on Instagram – go there, if they are found on LinkedIn you need to market there. You should consistently engage with your audience via social media and also by email marketing. When visitors come to your website you should offer them a free topical give away such as a report, a guide or eBook in return for their email address. You’ll be surprised how many people will join your list. Make an effort to email this list with valuable content related to your niche or whenever you write a new blog. This is a great way to build trust with your audience. Getresponse is a fantastic service where you can collect email addresses and send newsletters to your list very efficiently. Email marketing is a topic for another blog . . . stay tuned. If you’re interested in selling products or services online, you need to take brand building very seriously. Know your perfect customer, what makes them tick and what they’re looking for. How can you be the answer to their problems? Take care to target who you are branding to. If done correctly you can build a highly engaged audience that is interested in what you have to say and what you have to sell. In time you can be the next Tony Robbins or Oprah Winfrey of your niche or market sector!